In September 2013, the world of private investing became much more transparent. For 80 years before that, any company wanting to sell private securities was restricted to selling to their own network of family and friends. This limit existed mainly because of the ban on ‘general solicitation’ of a private security. One of the primary ways private companies raised funds was through Rule 506 of Regulation D.
Regulation D is an exemption from registering securities with the SEC. When Title II of the Jump Start our Business Startups (JOBS) Act took effect in September 2013, Rule 506 of Regulation D was split into 2 separate exemptions, 506(b) and 506(c). 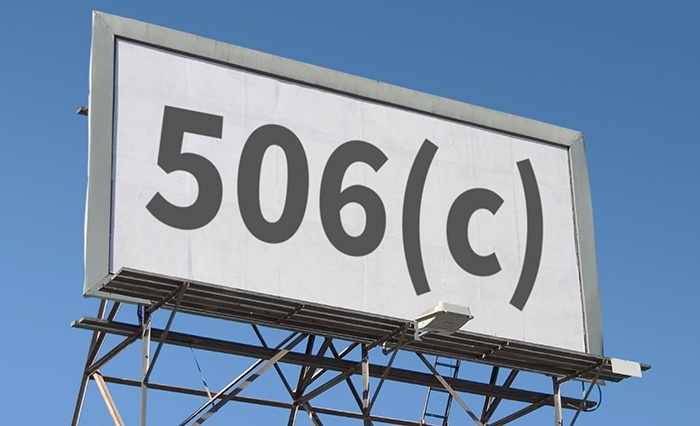 506(b) preserved the old Rule 506, but 506(c) changed the world of private investing. Under 506(c), the ban on general solicitation was lifted—and issuers could take their deals to the world of investors looking to invest. There are five main benefits of using Rule 506(c) vs Rule 506(b). The biggest advantage of structuring an offering under the 506(c) exemption is the ability to generally solicit or market the offering. This means that issuers can take their offering and present it in any way they wish, including online, in a magazine, on a billboard, or any other way they can imagine. This not only allows investors to show their current offer to the world, often resulting in a faster raise of funds, but it also creates a larger investor base for future deals the issuer may offer. With 506(b), however, there is still a ban on general solicitation and deals are still restricted to those inside a company’s close network. Another difference between the 2 offerings is the ability to accept non-accredited investors into the investment. With 506(b), issuers can allow up to 35 non-accredited investors to invest in the deal, but even non-accredited investors need to be ‘sophisticated’. This becomes a problem as it allows for subjectivity to be introduced. The issuer may learn about an investor and think they are sophisticated and have, “…sufficient knowledge and experience in financial and business matters to make them capable of evaluating the merits and risks of the prospective investment”, while the SEC may later examine an investor and disagree. While issuers can allow non-accredited investors in 506(b), both exemptions still require that accredited investors are verified. The difference is the requirement on how a verification takes place. In a 506(b) offering, investors are verified through self-verification. In a 506(c) offering, the issuer or broker-dealer has to verify the accreditation status of the investor. Accreditation is achieved by either proving the investor has a net worth of $1,000,000 not including primary residence; by proving that the investor has made $200,000 a year over the past 2 years, with a reasonable prediction to make that again this year; or by a letter of accreditation by a CPA, attorney, or other professional. A fourth major difference between the two types of 506 offerings is the different types of documents required to be disclosed. This is where 506(c) becomes even easier for an issuer to manage. In a 506(b) offering, the document disclosure requirements are similar to the information required in a registered offering. On the flip side, for a 506(c) offering, there are no document disclosure requirements because all investors must be accredited and theoretically should know the right questions to ask before they invest. The last major difference is the waiting period before investing. In a 506(c) offering, there is no waiting period requirement. With a 506(b) offering, issuers have to be able prove a relationship of a minimum of 30 days with an investor before they are allowed to know about the deal. The purpose of the 30-day waiting or “cooling off” period is for the broker-dealer to make sure the investor is suitable for the investment and is sophisticated enough to make the investment. This is also a time for the investor to learn about the issuer and educate themselves on private placement transactions. During this time period, there are certain suitability questions that need to be asked for the broker-dealer to be able to gauge what offering can be shown to an issuer. As the world of private investing continues to develop, 506(c) is emerging as a much easier way to raise funds. Issuers can now advertise their deal, bring in the best investors and raise funds in a simpler and more cost effective way than ever before. Offerings filed under a 506(c) exemption have a lower cost of acquiring capital and can be funded faster by more experienced investors, leading to a streamlined and successful raise for issuers. 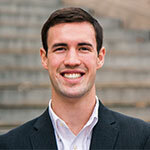 Conner brings experience as both an entrepreneur and asset manager to WealthForge where he focuses on helping make raising private capital simple for firms, funds and broker dealers. With a deep understanding of the latest regulatory changes in the private market space, Conner provides education and guidance on Reg D transactions with a specific expertise regarding the new 506(c) exemption.